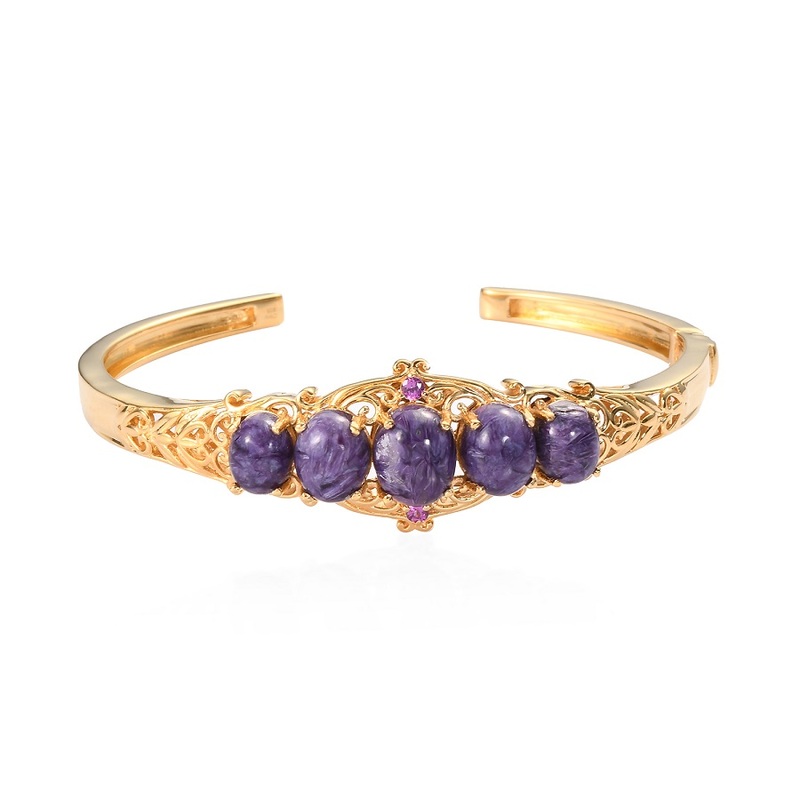 Known for its distinctive swirls of deep violet and lilac Siberian charoite is one of a few gemstones gemologists can confidently identify by sight alone. 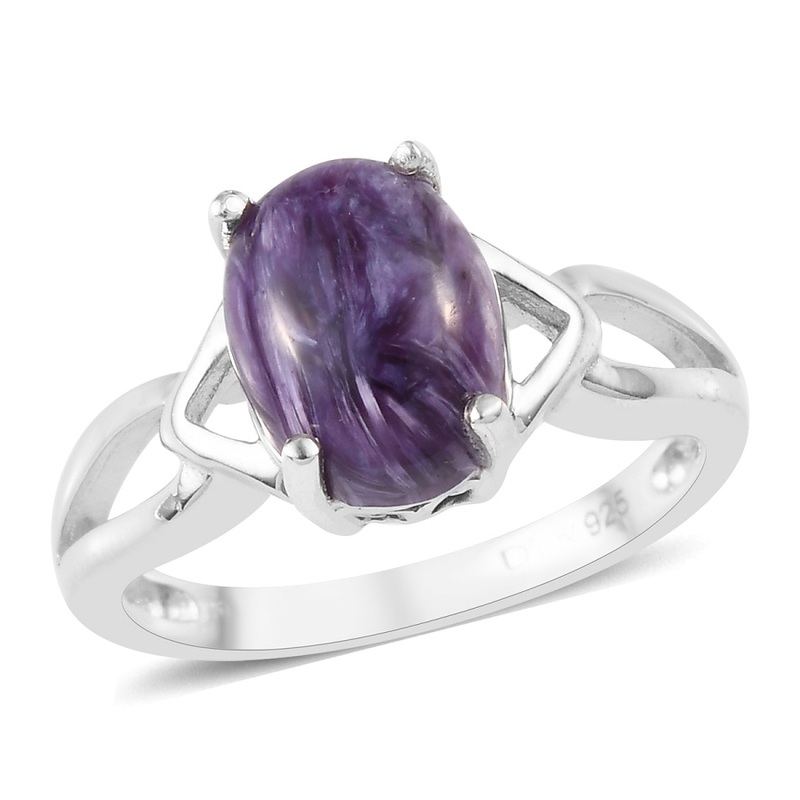 The name charoite comes from the Russian word "chary" meaning charm or magic. This gemstone was originally discovered along the banks of the Charo river in Eastern Siberia. Charoite features churning waves of purple lilac and violet with an enchanting iridescence. Siberian charoite is a relatively delicate stone. The potassium that gives it its purple color is also a soft alkali metal. Strong acids can easily damage the alkaline mixture of minerals in the stone. It is a 100 percent natural gemstone with small to moderate chatoyancy (cat-eye effect) and a silky or pearly luster. • These stones were thought to ward off evil spirits. Mongolian families would boil the stone in their tea during festival days to strengthen and protect their family members. • Siberian charoite is a 'stone of transformation and power' because it transforms negative emotions and anxiety into a sense of happiness and positive emotions. • Charoite is a stone of spirituality and enhanced creativity. It brings new ideas to a situation. • This gemstone promotes courage bolstering your inner strength just when you need it. • Charoite is a connection stone that provides emotional healing for those who suffer from loneliness. It also provides support for caretakers and adoptive family members. • Crystal healers use charoite to speed up healing for ailments affecting the liver heart eyes nerves and more. It is thought to be especially effective against headaches and migraines. 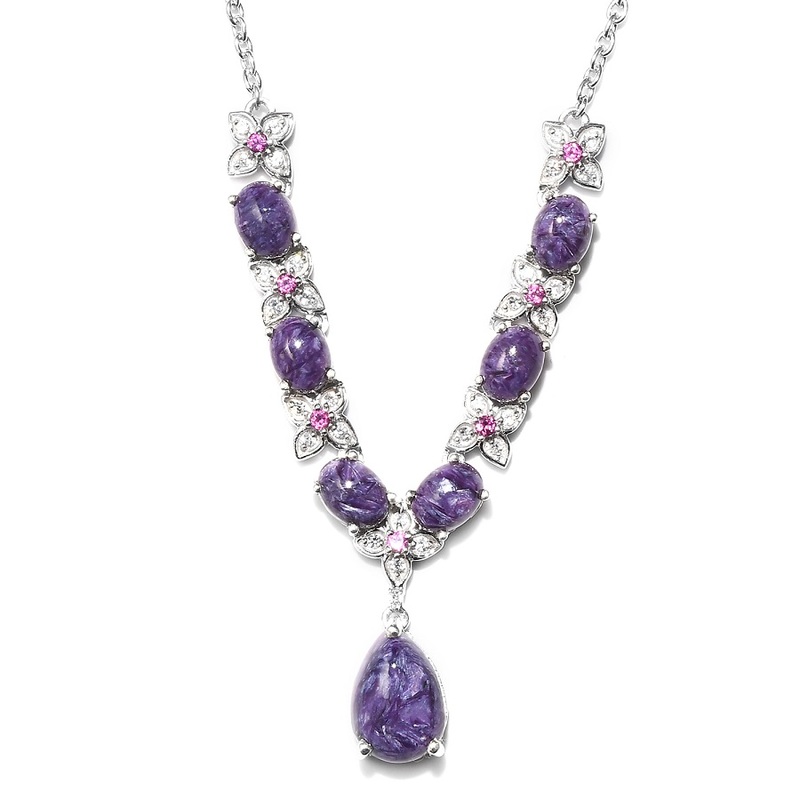 Charoite can only be found in snowy Siberia making it a rare find and difficult to procure. The mine is located in the Sakha Republic region of Russia in the foothills of the Murun Mountains. 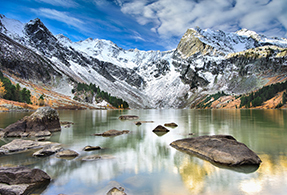 Russia is famous for its deposits of rare and exotic gems such as alexandrite demantoid garnet and Siberian charoite. Ranks 5 to 6 on the Mohs hardness scale. Color display violet lilac bright lavender and dark purple swirled with black and white veining. Sourced from the Siberia region of Russia. Member of the charoite family. Silicate mineral. Also known as charoite jade.